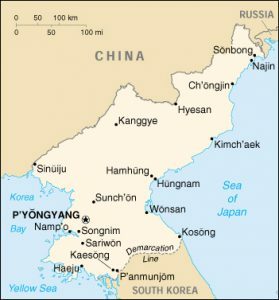 Information about North Korea is difficult to obtain. We have tried to rely on reliable sources while looking for a neutral and objective point of view. From the information available, it appears that, in general, the protection of children in North Korea is not assured and that their rights are regularly violated. 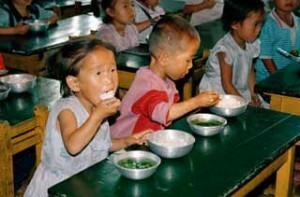 In North Korea, about 40% of the population lives below the poverty line. Poverty is all the more critical and is periodically becoming worse through the natural disasters that this country has to face. Many children find themselves homeless and facing adverse living conditions. Nearly a quarter of the population in the country lack access to enough food. Children are the most affected by this shortage of food, which has negative consequences on their health. The situation is critical, since the government rations the amount of food distributed to the population. In many cases, these food resources are not sufficient and yet they are the main source of sustenance for families. The situation of children is particularly affected by this situation: they usually do not receive as much nourishment as they need and meals are not balanced enough; the health of children under five as well as that of pregnant women is especially alarming. The food crisis has resulted in thousands of deaths and among them, many children. 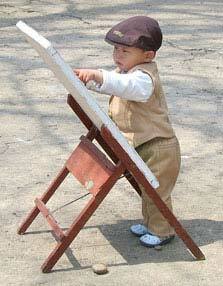 The infant mortality rate is 33 ‰ in North Korea. Infrastructure and health personnel resources are often insufficient or inappropriate; drugs are in short supply, including those to fight against the numerous harmful effects of malnutrition. 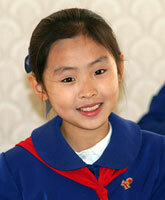 For example, many North Korean children are victims of tuberculosis. Although the country declares that healthcare is free, the reality is quite different. Indeed, the cost of medical expenses can be too high for some families, who do not have enough resources to treat their children. Nevertheless, significant efforts of this country in term of health are noticeable. Indeed, North Korea recently conducted a vaccination campaign against measles which has helped to immunize millions of children against an epidemic. Access to health care remains difficult during natural disasters such as floods which result in many victims among children. North Korea is widely known for its corruption and its lack of freedom of speech and opinion. The media are closely controlled; opponents or human rights defenders are often imprisoned, and the government is known for its strict censorship policy. Sentences for political offenses or crimes of opinion are numerous and severely punished. These restrictions prevent the North Korean children from exercising their right to information and to express themselves freely, which is a violation of Art. 13 of the Convention on the Rights of the Child (CRC). To escape poverty and the very strict regime of North Korea, many families are fleeing the country to China. This process is very dangerous. Indeed, the Korean authorities severely punish attempts to cross the border. Moreover, once in China, the difficulties for these people are far from being over. Immigrant families will have to face many problems that children cannot escape either: they must remain hidden, and access to education and healthcare is extremely difficult. 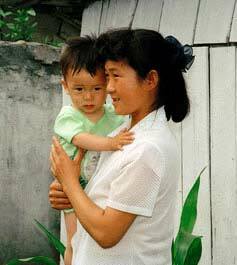 Thousands of children born in China from a North Korean mother and a Chinese father have no legal identity in China and are invisible to society, so that their mothers are forcibly repatriated to North Korea. The protection of their rights is totally ignored and the living conditions of these children remain extremely difficult. Some of them become victims of sexual exploitation. Children must be protected, within the family as well as out of this environment. In North Korea, the protection of children that should normally be ensured by the national authorities has been substituted by violence, forced labor and the failure to respect their rights. Indeed, on many occasions, there have been instances where the North Korean government has sent children to prison camps, due to alleged offenses committed by a member of their family. Living conditions in these camps are appalling and absolutely unsuitable for children. Thus, the mortality rate in these camps is very high: torture, abuse, malnutrition, poor sanitation, and a lack of or absence medical care … The situation is extremely harsh and cruel, but the government refuses to recognize the existence of these camps. Given these circumstances, the recognition of the violation of children’s rights appears impossible.